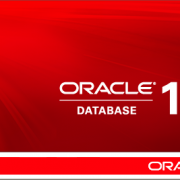 In order to understand the greatness of this feature, let us understand what needed to be done in order to move a datafile before Oracle 12. When we wanted to move a datafile from place to place, we had quite a few steps and some of them even required us to take the tablespace offline causing a potential downtime to our applications. Along the years, we found some workarounds like changing the tablespace to read only and copying the files instead of moving them. In any case, there was some kind of downtime to the applications, which could have been very long, depending of the size of the data transferred. This will not only change the location of the file in the control file but will also move the file in the OS. If the file already exists, it will show an error message and we can use the RESUSE clause to overwrite it. If we’d like to copy the file instead of moving it, we can use the KEEP clause and the file will not be removed from the original location. This is a great feature and I feel that it is going to make our DBA life much easier. Quick note: when working with Pluggable databases, we cannot move PDBs datafiles while having our current container as the CDB. When doing that, we will hit ORA-01516 (nonexistent log file, data file, or temporary file “%d”). ORA-01516: nonexistent log file, data file, or temporary file "22"
In order to move the files, we must change our current container to the PDB and run the command from there. OK, it would be nice if you have the Enterprise Edition. But how can i do this with my licences SE ? Here the command leads to ORA-00439: feature not enabled.